It’s not often that a multi-billionaire celebrity businessman is giving a talk to a packed audience, and it ends with him snipping off a part of their clothing. But when the man is Richard Branson, the flamboyant Virgin-boss it makes complete sense. Branson, who has long been a proponent of casual work culture, liberal benefits, and above a strict believer in “no dress codes”, was at the launch of his documentary ‘Don’t look down’. At the end of the session, during the Q&A session, an audience member and the only one in a suit and tie as Branson noticed got up to ask him a question. 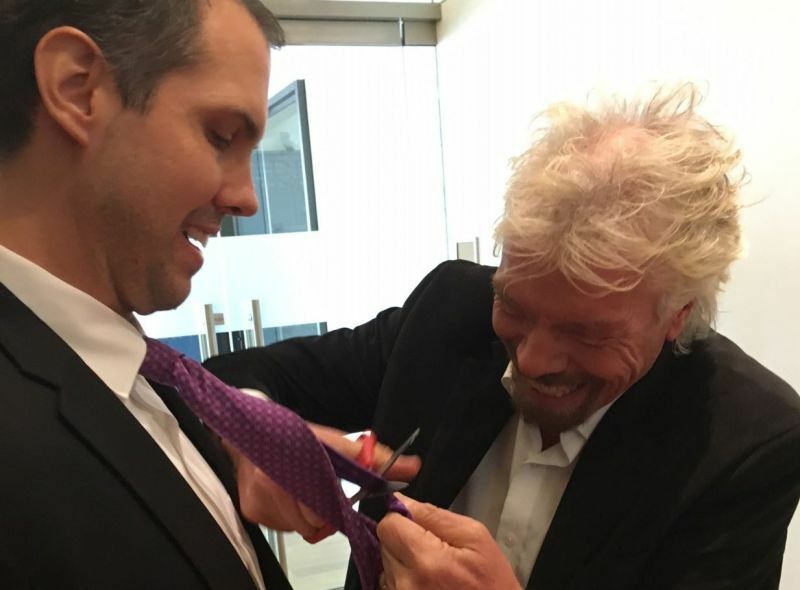 The question was “Can you help me bring joy to my workplace and make the culture more relaxed.” Branson seized the moment and the question-asker’s tie and in a most symbolic gesture, snipped it off to signal end of a dress code. “I have always thought that ties are only inflicted on people because their bosses had them inflicted upon them and they want to make the next generation suffer. My idea is that everyone would be far more comfortable, and therefore productive, without their ties. So cutting off every one I come across is turning my idea into reality!”, Branson said on a self-authored blog on the Virgin website. Branson is no stranger to cutting ties on occasion so he admittedly carries a pair of scissors on him in his front pocket all the time. While the gravity of wearing a suit and a tie may be lost on the startup and tech junta, for thousands of people working in finance or high-authority posts, the stress is real. “It may only be a small gesture, and a bit of fun, but it always raises a smile and a laugh (we could all do with as many of those as possible). We even have an ever-growing collection of cut-off ties on the wall at Virgin Hotels Chicago. I do genuinely believe it helps people to relax and, in turn, perform better.”, Branson added about the tie-cutting gesture. Branson isn’t the coolest boss for nothing.